This is a continuation of the theme of Monica’s talk on the 18th of July. Please join us! Everyone is unique, in every way. 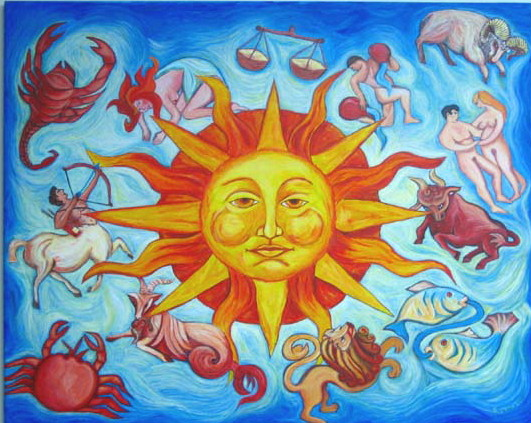 The work of the astrologer is to enable that individuality to disentangle itself from the masks, behaviours and expectations of our society – and to release the freedom, power, and joy of their uniqueness. In order to fit in – to be part of the tribe, to blend with world around us – there are some common ways in which we limit and disempower ourselves. 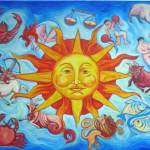 Helping our astrology clients discover these self-inhibiting ways of thinking and being is a life-changing gift to them. This is a big topic, and impossible to cover completely in the 50 minutes we are allotted by the venue. So we’ll stick to the point and cover as much ground as we can. When the time is up, it will be up. If you’re able to stay on a bit longer afterwards, we can chat informally about this topic. In 1985, when uranus opposed itself, I began a serious study of astrology. For decades before, I had studied many other things – the Bible and theology, world religions, ancient history, nursing, psychology and counselling skills, sociology, business practice, strategic planning, and more. I also worked my way through an astonishing career and other interesting life experiences. In 2007, when Saturn returned to itself for the second time, a massive loss and deep grief gave way to a transformation of my understanding of the the workings of the cycles of the planets. Astrology aligned with divine synchronicities. I was already fully occupied with my work as an astrologer, but with the new insights, there was also an acceleration of change within myself, in my world, and also in the kind of clients who come for readings. More than ever, they became my teachers. My other teacher is nature herself, with all her patterns, rhythms, cycles and archetypes. Life took a new direction, and everything moved to another level, including the way I work as an astrologer. I am now – beyond all doubt – well into my senior years. With a sun newly progressed into Capricorn, I am aware of a responsibility to share what I have learned with those who will follow on, and who are interested in knowing the astrology of the shamanic path.